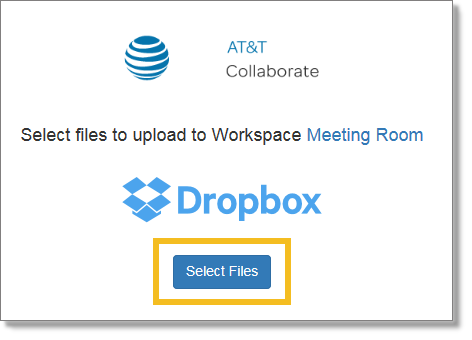 Add a file from Dropbox to a workspace, where any member can access it. Attach a file from Dropbox to a task, which you can assign to someone to review or edit. Select Dropbox. A Dropbox web page opens. On the Dropbox page, click Select Files. In the Dropbox files window, select the files you want to upload. Click Choose. The files are uploaded to the workspace. 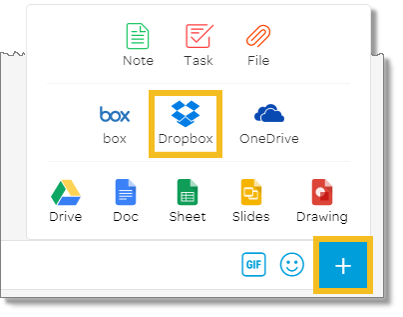 Select the task you want to add a Dropbox file to. 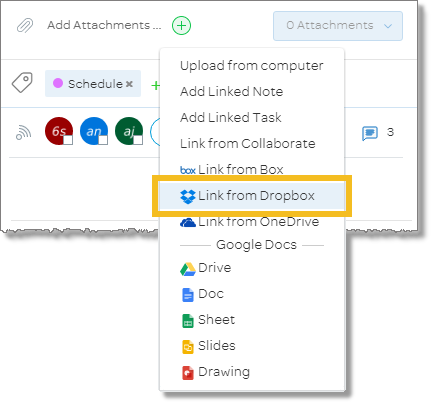 From the menu, select Link from Dropbox. Click Choose. The files are uploaded to the workplace.